Hoping to hit the mall this month? November is a great time to shop for holiday gifts, but some items offer more savings than others. See the following. Electronics. 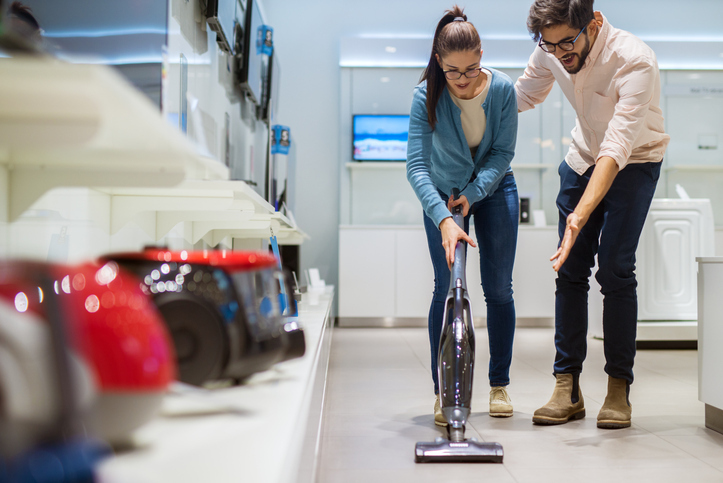 Many big box stores offer savings on larger ticket electronics during the month of November, so snag that new sound bar or TV you've been eyeing. Vacuums. Need a new cleaning machine? Pick it up in November to save anywhere from 20 to 50 percent. Appliances. Take advantage of Black Friday to grab a big ticket item like an appliance. A 10 to 15 percent savings can be huge with a larger item. Clothing. Many clothing retailers offer month-long deals in November to entice you to do some holiday shopping for yourself. Smart home devices. Like large appliances, smart home devices can go for a steal on Black Friday. Plan ahead for big savings.